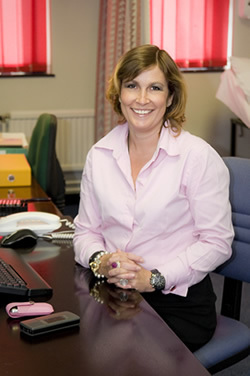 Clare Morgan is skilled in both the surgical and non-surgical management of all spinal conditions. She qualified from King’s College Hospital, London in 1994 with a BSc and MBBS (Distinction in Surgery and Cheyne Edmunds Prize in Surgery). Clare completed her surgical training, gaining fellowships form both the Royal College of Surgeons of England and Dublin, working at well known orthopaedic centres such as The Royal National Orthopaedic Hospital, Stanmore, and The Robert Jones and Agnes Hunt Orthopaedic Hospital, Oswestry before gaining the BOA Fellowship in Spinal Surgery at Queen’s Medical Centre, Nottingham in 2004. She was admitted on to the General Medical Council Specialist Registration in 2005 having been awarded her Certificate of Completion of Specialist Training (CCT). She is a fully trained and accredited spinal surgeon and can provide the full range of surgical options available to the patient, both established and novel. Her entire NHS practice is dedicated to the treatment of spinal conditions so that her surgical expertise lies entirely with the spine from top to bottom dealing with all pathologies; acute, degenerative, adult deformity, trauma, and tumour. She also works closely with allied professionals in complex spinal pain conditions and promotes a holistic approach concentrating upon the improvement of quality of life for her patients. Clare Morgan within both her private and NHS practice provides patients and clinicians with specialist advice for a second opinion. Patients may seek reassurance or further guidance, some individuals wish to clarify either the proposed treatment or details of their conditions. This consultation is given with extra time and provides an attentive unhurried explanation, addressing all the patients concerns.